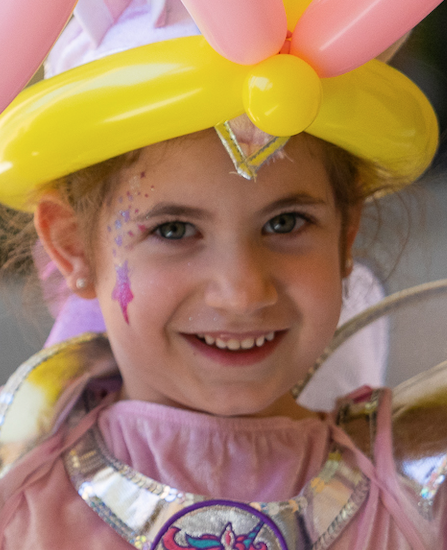 Jewish Academy of Orlando (JAO) celebrated Purim with a megillah reading, party, performances, delivery of mishloach manot (Purim baskets), and grogger sculpture creations. Third-grade students performed in the annual Purim play that tells the holiday’s story through music and dance. Jewish Academy of Orlando (JAO) celebrated Purim with a megillah reading, party, performances, delivery of mishloach manot(Purim baskets), and grogger sculpture creations. Third-grade students performed in the annual Purim play that tells the holiday’s story through music and dance. Even JAO teachers joined in the celebration with their debut performance of “I’m Queen E,” a parody of the song “This is Me,” from The Greatest Showman. At the Purim party, the students participated in games, read an emoji megillah, had their faces painted, and played trivia games. The parent teacher organization was involved by preparing and delivering mishloach manot to the community. “The Purim story teaches our students many Jewish values and life skills including leadership, giving, making good choices, and standing up for what is right. By integrating the story into art, music, and performing arts, these skills truly come to life. We are delighted that our students are able to participate in a program that synthesizes academic lessons, sportsmanship, Jewish values, art, music, and performance to our entire student body,” stated Alan Rusonik, Head of School. Jewish Academy of Orlando serves central Florida students of all faiths from grades kindergarten through fifth. The school delivers a whole-child education fostering academic excellence and character education rooted in Jewish values. Jewish Academy of Orlando is accredited by the Florida Council of Independent Schools. Beginning in fall of 2019, the school will offer a transitional kindergarten.